What an impressive range of images we had to choose from for our 2016 Photo of the Year Competition. Thank you to everyone who entered. You truly surpassed yourselves this year with some really wonderful photos of landscapes, people and wildlife from your amazing adventures. After a huge amount of deliberation and debate we finally arrived at a shortlist of just five fabulous photos. We asked you to help us decide the winner and, after many weeks of voting, we are delighted to announce that the winner is Mr Leonard, with his delightful photo of a shikara (boat) on a tranquil lake in Kashmir, India. Many congratulations to Mr Leonard who wins £150 towards his next holiday booked with Mountain Kingdoms. 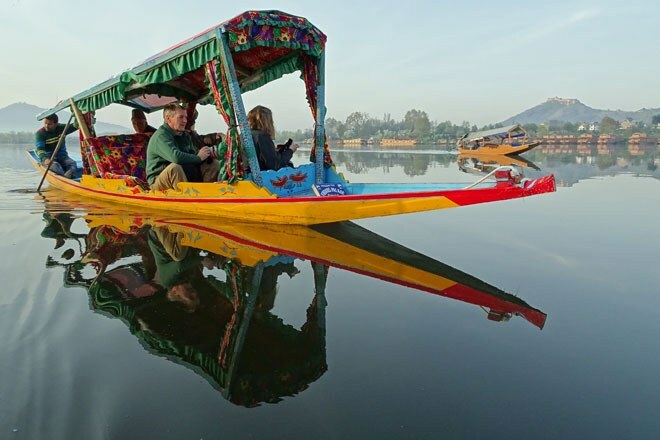 This colourful shikira boat is the standard form of transport on the famed lakes of Srinagar in Kashmir, India. The delightful scene, with its mirror-still water and perfect reflection, was captured by Mr Leonard when he travelled to Srinigar last March on our Rajasthan & Kashmir Explorer cultural tour. This impressive black and white image of a group of zebras was taken by Mr S Patel whilst on a Tailor Made holiday in Tanzania. Having summited Mount Kilimanjaro, Mr Patel then went on safari in the Ngorogoro Crater and the Serengeti National Park - two of Africa's most celebrated wildlife parks. 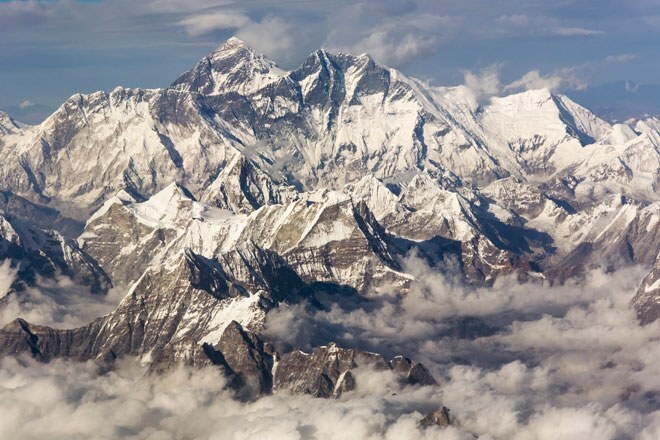 Mr Harrison took this stunning view of Mount Everest from the window of a plane on the flight from Kathmandu in Nepal to Paro in Bhutan. What a view to start your trekking holiday with. Virtually all our holidays in Bhutan start with this flight from Nepal so you too could be luckily enough to enjoy this fantastic view - just make sure you sit on the left hand side of the plane! 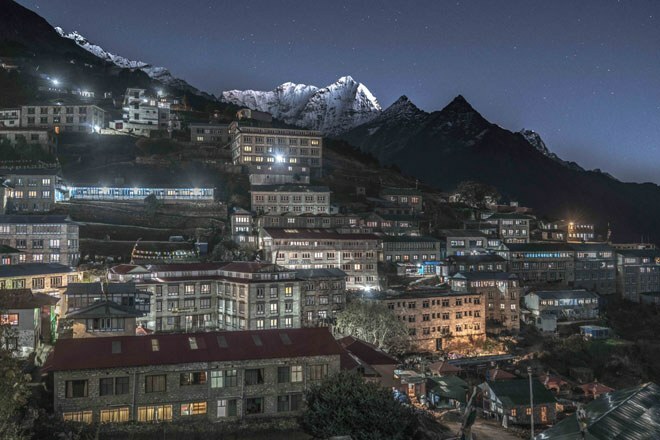 We've seen hundreds of photos of Namche Bazaar in the Sherpa heartlands of Nepal, but never one taken at night. This unusual and arresting perspective of Namche beneath a starry sky, was taken by Mr Walls on our Everest Base Camp in Style trek last November. This striking portrait image was taken by Mr Shorrock in Rajasthan in India. Mr Shorrock was travelling on our cultural tour of Rajasthan & Kashmir and saw this suitably regal gentleman at Rawla Narai, the former hunting lodge of the royal family of Jodhpur. Now you've see all our finalists, vote here for your favourite before the 2nd May 2017. And don't forget, all voters will be given a code to claim a free copy of the magazine plus you'll be entered into a draw for a chance to win a year’s subscription to Wanderlust travel magazine.